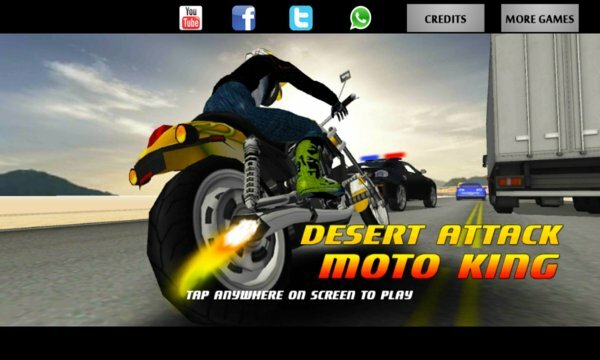 Desert Attack: Moto King 2015, is one of the BEST Motorcycle games available for smart phones till date. You are on a challenging mission of escaping an extreme highway attack. Use your extraordinary driving skills to avoid the dangerous trucks, lorries, traffic cars, damaged vehicles thrown out of the trucks, check posts and crossing trains. Ride as long as you can and earn more close calls and enjoy capturing the stunts you perform and share it with your friends. 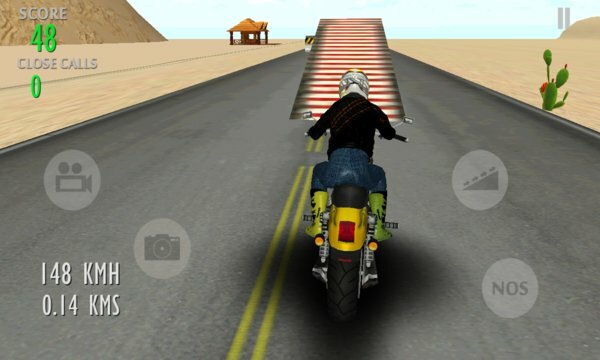 Be the world best action Moto rider by posting your scores in global leader board. "Racing + Action + Strategy = Desert Attack & Fun"
* Generate humps at real-time to avoid/cross the trains and other unexpected obstacles. - Capture Screenshot and share it in Facebook, Twitter, Whatsapp etc.